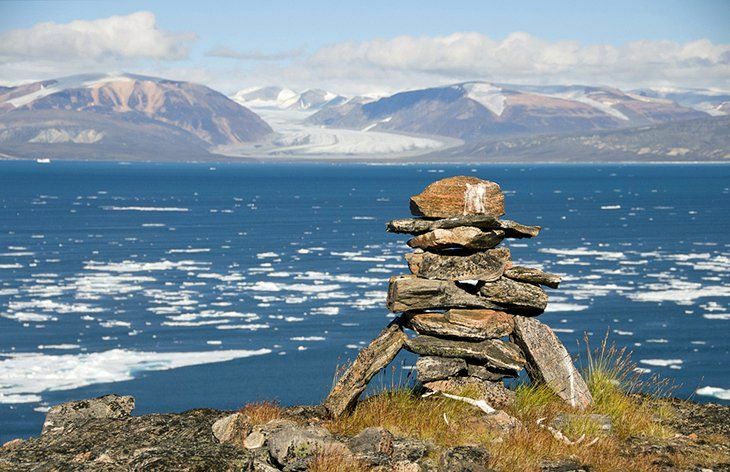 With its breathtaking landscape, the hospitality of the Inuit people, and the numerous opportunities for an unusual holiday, Baffin Island is a strong draw for tourists. But it can hardly be said that it suffers from invasions of visitors. The island is the fifth largest in the world with a coastline and landscape that vary considerably. On the eastern coast, very similar to Norway with its steep fiords and small offshore islands, lies a long, narrow Alpine-like mountainous zone - reaching heights of 2,591 meters in Auyuittuq National Park on the Cumberland peninsula. The main administrative town is Iqaluit on Frobisher Bay. The only way to get to the far north island is by air, and that is rather expensive. The cost of living is high and the climate very "unfriendly", not to mention the hordes of insects, which descend on the unfortunate traveler in summer; all in all, the region is perhaps somewhere for the specialist.